This delicious snack from JR Farm will make a welcome change to your pet's feeding plan. Based on the traditional mix of vegetables, it contains tasty dried peppers, tomatoes, courgettes and potatoes. 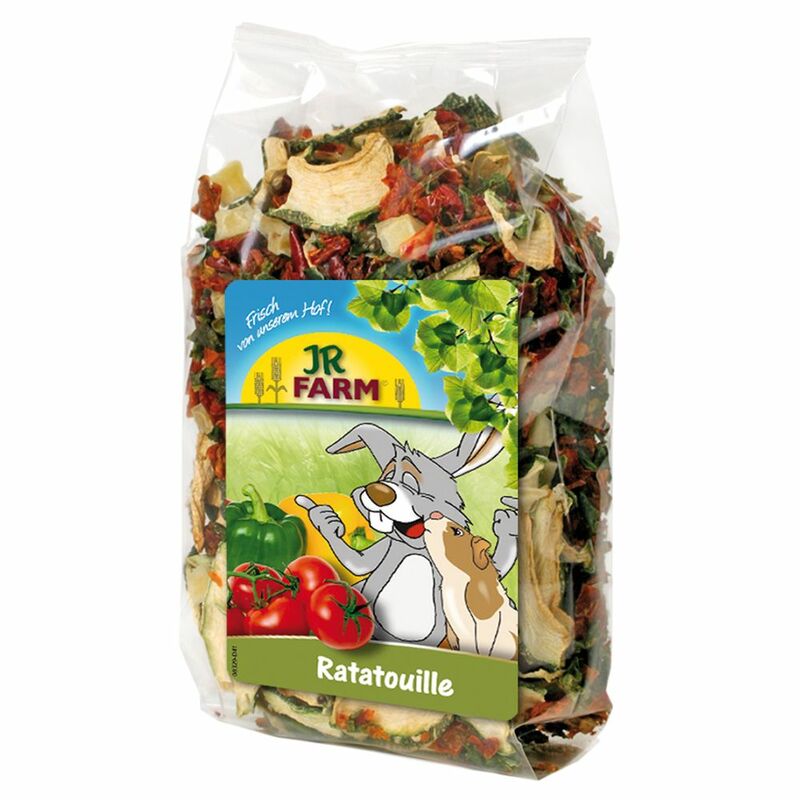 JR Farm Ratatouille is a snack that is rich in eΒential vitamins, which makes it the perfect supplement to your pet's normal food. The natural vegetable mix can be fed as a snack as part of the daily ration or as a snack for between meals.